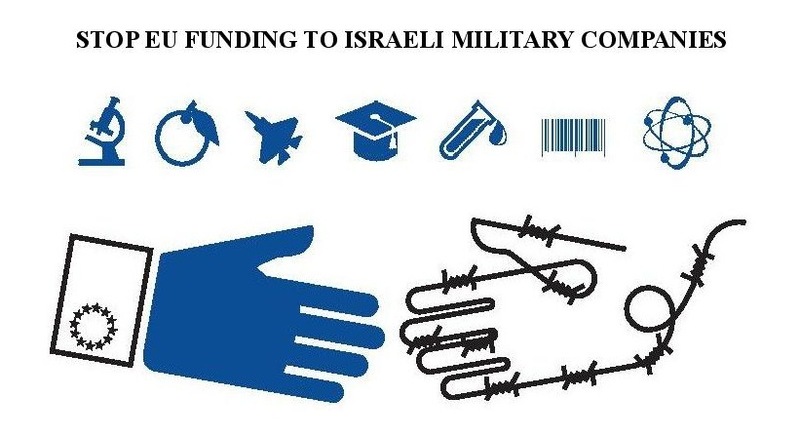 March 2016: Stop the Wall publishes the briefing ‘FLYSEC – Securing Apartheid in Palestine and beyond’, targeting one of the EU projects funded under Horizon2020 including the Israeli military company, Elbit Systems. September 2016: The campaign against LAW TRAIN and Belgium participation in the project starts. The campaign comprises a large alliance of civil society organizations and solidarity groups. At the end of September 2016 students from KU Leuven organised a direct action in a protest against the involvement of their University in Law Train. In addition the coalition of Belgian civil society organisations in cooperation with OMCT (World Organisation Against Torture) and FIDH sent a letter to the European Commission with a demand to end the Law Train project. In October 2016 Belgian Campaign for Cultural and Academic Boycott of Israel published a full dossier denouncing the Law Train project.